The large (9'' long) featured in basic Boxy Bag tips and techniques post is a very useful size. I've used the bags for my knitting, for my daughter's makeup and for storing small items in a suitcase. But a smaller bag can be really useful too - let's use this wonderful tutorial at Pink Stitches and make a small bag 5'' long. A zipper at least 8'' long which will be cut to fit as per the zipper overview. For tips on marking quilting lines, see this post. Make the bag as you would the larger bag but box the corners at 1''. Isn't this a gorgeous color? I call it cinnamon but in American Brand Solids calls it Dark Rust (72). My fabric zipper tabs and the handle are a deep gold which goes quite well with the bag. There is a rough magic math formula here so you can create a bag at whatever size you want. 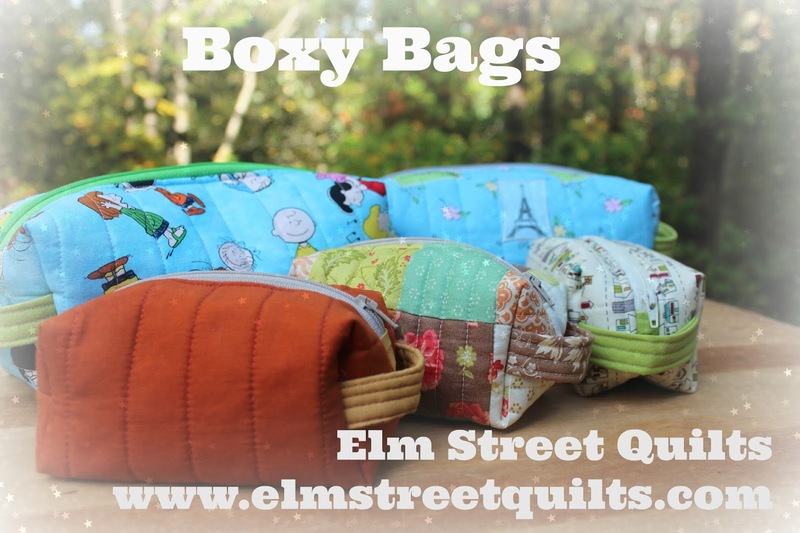 The larger dimension of your fabric and the size of the boxy corners determines the length of the final bag size: Length = Larger fabric dimension - 2 x (box corner size) - 1 for seam allowance. Experiment with other sizes and come back and comment. I'd love to hear from you. Did my rough formula hold? I find these boxy bags to be quite addictive. I'll be making several of these bags myself this year for holiday gifts! Are you enjoying this series as much as I am? Isn't the tutorial at Pink Stitches. a great one? 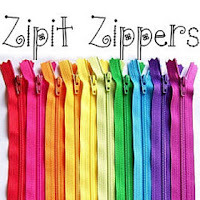 This post was sponsored by Zipit, an Etsy store as part of Bag It 2015. I have a boxy pouch on my to-do list so will be sure to try this tutorial - thanks for the link! I'm a beginner so please excuse my question: what do you mean by "the larger dimension" and the "smaller dimension" if the fabric in the Boxy maths? Thank you for your kind response. Louise, Western Australia.